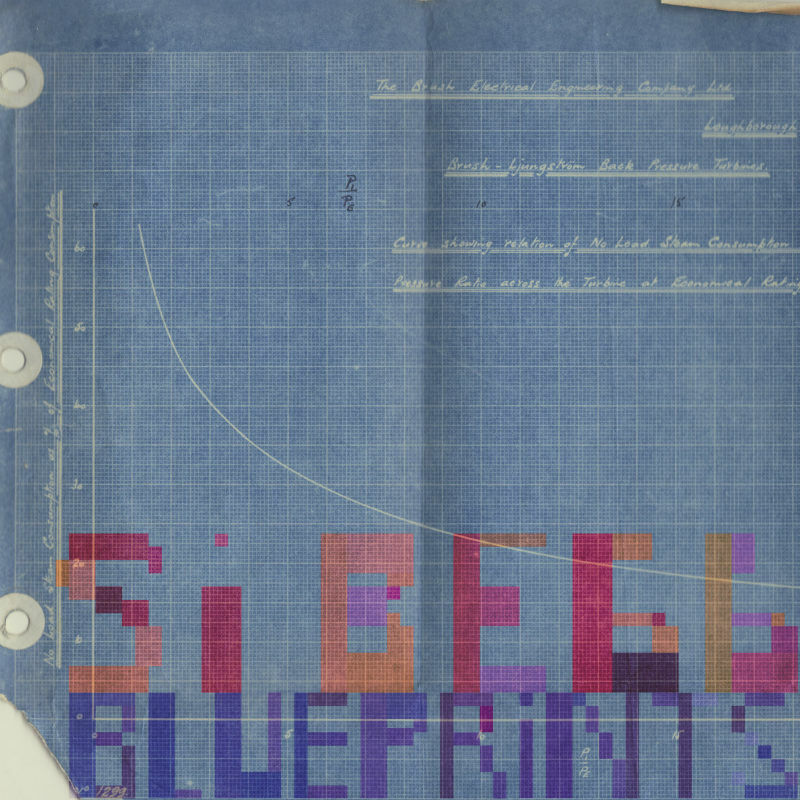 Pioneering music producer SI BEGG is set to release his sixth studio album, BLUEPRINTS, on Berlin's legendary label SHITKATAPULT this June. His first LP in four years, BLUEPRINTS is a celebration of raw electronics welded to the ‘romance of engineering'. The project was inspired by the discovery of an old diagrammatic notebook that belonged to Begg's grandfather, George, in his lifetime a cutting-edge engineer. Dubbed ‘visionary' by The Who's Pete Townsend and widely considered a producer's producer, BEGG has been making genre-defying electronic music for more than two decades. Backed over the course of his career by the likes of John Peel, Thom Yorke, Leftfield, The Glitch Mob, Bassnectar and Mouse On Mars, he has carved a reputation as a recording artist, DJ and sound designer, and in more recent years as an award-winning composer for television and film. BLUEPRINTS sees BEGG's passion for contemporary score collide with his love of electronic music. Since the release of his last LP, 2013's Permission To Explode, BEGG has written scores for four feature films as well as for Netflix Original series, Lovesick, and Battle Rap documentary, War of Words. The concept for the album sprang fully formed when BEGG came across the notebook, a beautifully preserved leather-bound volume, annotated in his grandfather's precise hand. The book was filled with meticulous diagrams of compressors and parallel air ducts, graphs recording comparative noise levels at different factories, statistical information detailing the thermal efficiency of power stations, alongside blueprints for futuristic machines yet to be built. At the same time, BEGG was reconnecting with his own back-to-basics studio machinery, the voltage-powered hardware instead of the slick high-end software used to create most electronic music today. The parallel discoveries felt like synchronicity and BEGG began producing tracks using analogue synthesizers recorded live in one take, augmented by circuit bend effects units and the electro magnetic field noise created by mobile phones and hard drives. In his characteristically uncompromising way, rather than try to hide the cogs and gears and remove the excess distortion, BEGG decided to champion these idiosyncratic machines. In putting them centre stage, he aimed to demonstrate that not only were these unique tools to create art, they were simultaneously works of art in their own right. Like his grandfather's designs, they had an aesthetic beauty all of their own, form following function. The pieces on the album evoke the beauty and romance of great engineering, often overlooked in a landscape of post-industrial gloom - the breathtaking geometry of vast gasometers, the sweeping grandeur of a suspension bridge, the finesse of circuit diagrams, a precisely laid-out city viewed from the air at night. From the hums and sparking pops of Heat Resistant Alloys to the relentless subsonic sine waves underpinning Resistance Is Expensive, raw electrical signals pulse through the heart of the music. This is a work of complex, evolving mathematical patterns, circuitry bent out of shape. It is a hymn to the voltage-controlled oscillator.